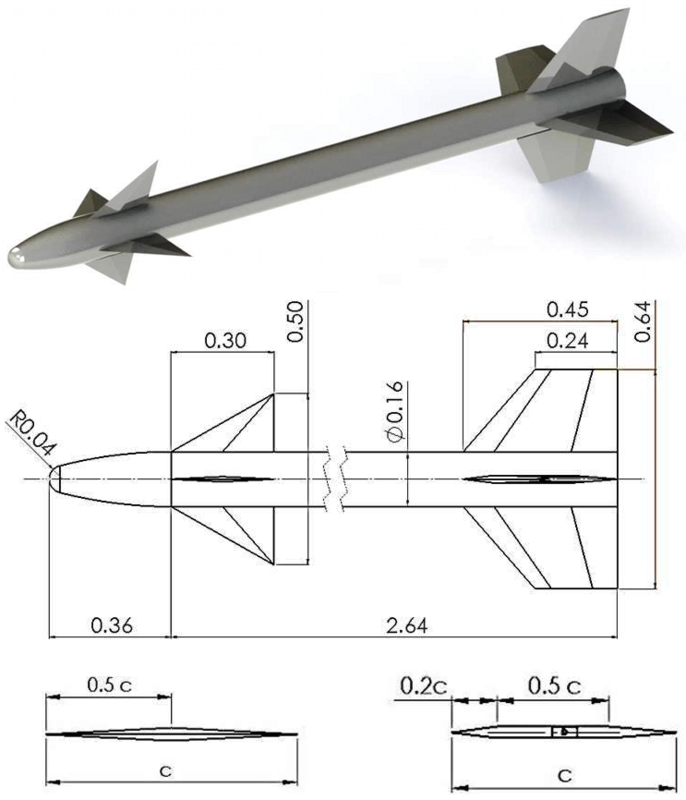 As part of their capstone senior project, engineering students at Technion – Israel Institute of Technology used Pointwise to assist in the detailed aerodynamic design of a highly-maneuverable, supersonic missile they designed. They were able to compare their computational fluid dynamics (CFD) results with lower order aerodynamic analysis tools to determine their domain of applicability and to identify areas where the CFD results could be improved with an unsteady simulation. The aerodynamic configuration was designed to meet the demands of a 30g trimmed maneuver provided by the missile guidance and control design team. The dimensioning of the configuration took into account client demands and common platforms. Several considerations were made regarding the steering surfaces locations, maneuverability options, etc. in order to supply sufficient maneuverability. The final configuration includes four front steering surfaces (canards) in-line with four stabilizing surfaces at the back of the missile. Figure 1 indicates the main dimensions and properties of the final configuration. Figure 1: Control surface locations and overall dimensions were set to enable up to 30g maneuvers. The main aerodynamic characteristics of the chosen configuration were modeled using a semi-empirical preliminary aerodynamic design and analysis software called Missile DATCOM, which implements the component-build-up method (or Nielsen method) in an effective manner. In order to examine the reliability of the theoretical model from Missile DATCOM, a CFD analysis of the missile's main body was conducted using EZAir software developed by the Israeli Computational Fluid Dynamics Center (ISCFDC). Figure 2 shows an important result regarding the trimmed maneuverability of the missile obtained from Missile DATCOM. 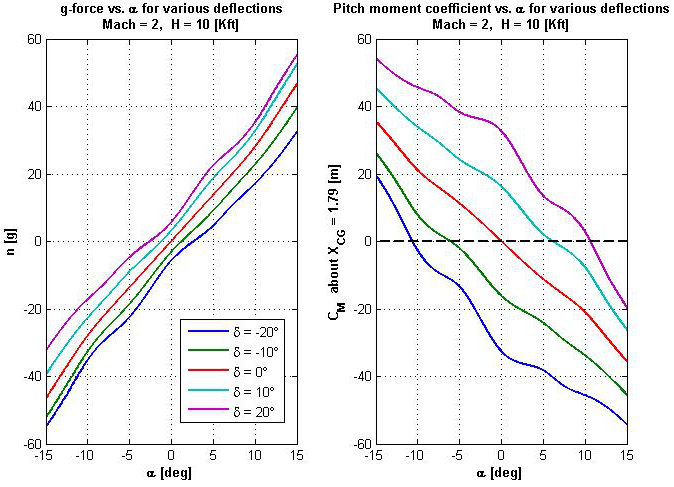 The figure shows that for each controller deflection the missile is statically stable (slope of pitching moment versus angle of attack curve is negative) and there exists an angle of attack for which the missile can perform a trimmed turn. This important result was implemented in the guidance routine to determine the required deflection angle for a given maneuver. Figure 2: Force and moment predictions show the missile can meet design maneuverability and stability goals. As mentioned, a CFD analysis of the missile main body (using EZAir software developed by ISCFDC) was conducted in order to verify the results obtained by Missile DATCOM. EZAir is a structured, overset grid Navier-Stokes code. In the overset grid approach, separate grids are created for each component or region of interest. This simplifies the meshing process by decoupling each component's mesh topology from its neighbor's while allowing the most accurate grid to be used for each region. Still, the main issue regarding the CFD analysis is the meshing process of the examined geometry. 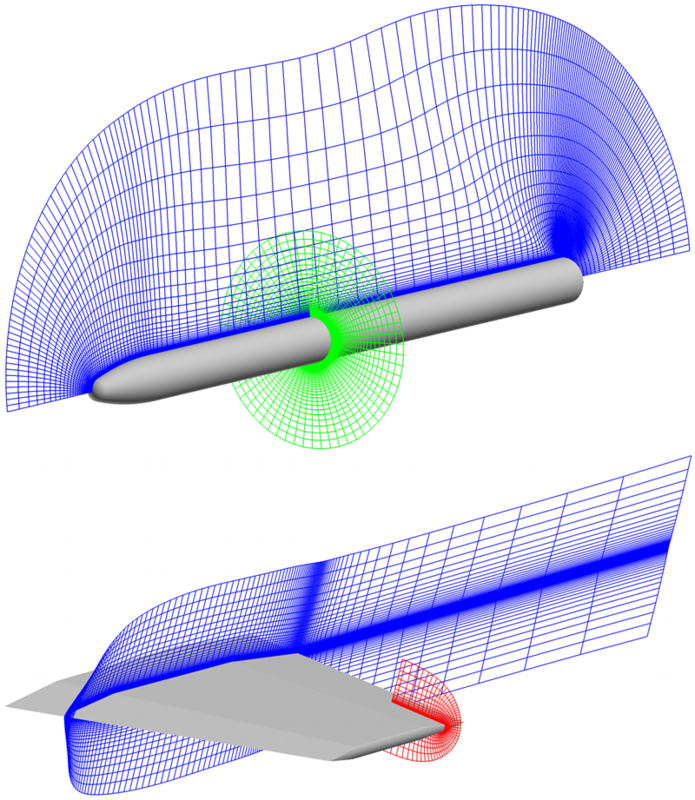 Figure 3a and b show the mesh created for the main body and the tail surfaces of the missile using Pointwise software by means of elliptic and hyperbolic grid generation. In Figure 3a, an overall background grid is shown in blue and component grid for the missile body is shown in green. Figure 3b shows a tail fin grid in blue and a fin-tip grid, added for additional flowfield resolution in this critical area, in red. Figure 3: EZAir's overset grid approach simplifies creating the best grid for each component. Regarding the main body's mesh, Figure 3 shows the higher resolution of grid points near locations where significant gradients of the flow parameters are expected (e.g., the leading edge of the nose). The meshing of the tail surfaces included higher resolution of grid points at the airfoil leading and trailing edge. Moreover, a Cartesian mesh is created at the wake of the tail. The tail mesh was created using both hyperbolic and elliptic grid generation methods. The main results of the CFD analysis give an opportunity to observe some phenomena related to the flow over a low aspect-ratio body, rather than extensive quantitative results precluded by limited time. Some of the steady-state phenomena related to the supersonic flow over a low aspect-ratio body are visible in Figures 4 and 5, such as the detached shock wave at the oblique nose, the flow at the base of the missile (which cannot be considered with the wind tunnel available for this study) and the detached symmetric vortices at high angle of attack. Figure 4: Mach contours at the missile's nose (left) and base (right) show the supersonic nature of the flow at 19 degrees angle of attack. Figure 5: The streamlines show separated flow at 19 degrees angle of attack. 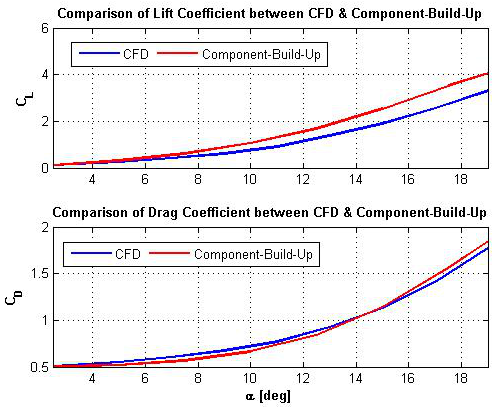 Figure 6: Comparison of the aerodynamic coefficients results between Missile DATCOM and EZAir. A great compatibility of the drag coefficient between the two approaches is evident. Regarding the lift coefficient, the two approaches are compatible at most angles of attack. Thus it appears that the extensive use of Missile DATCOM in creating the full aerodynamic model of the configuration was justified. However, at high angles of attack there exists a slight difference in the lift coefficient between the two methods. This can be attributed to the fact that a half mesh together with a symmetry boundary condition was used in the CFD simulations, hence at high angles of attack, where asymmetrical and unsteady phenomena occur, the prediction of the aerodynamic coefficients was not accurate. In conclusion, in order to get more accurate results and examine the full phenomena at various angles of attack, an unsteady simulation of the full configuration is in order. Technion participates in the Pointwise Teaching Partnership program through which recognized academic institutions can acquire 10 free Pointwise licenses for use by students in a classroom or CFD lab setting. If you are a professor or full-time academic staff member and are interested in learning more about this program email us at sales@pointwise.com or click the button below.